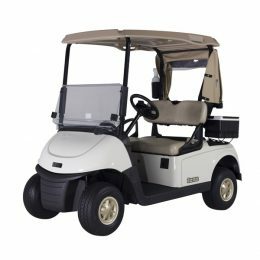 As a general importer for the E-Z-GO brand of the world-famous Textron Group, we can offer our customers many used golf carts from our range. The exclusive and market-leading technology of E-Z-GO vehicles, their reliability and sophisticated design offer you first-class performance and low operating costs. On this page you will find a large selection of used golf carts, which we have taken back during the year from concluded leasing contracts. The golf carts are all from clubs in Germany and Austria, where they were used for a maximum of 8 months a year, captivating with a technically and visually perfect condition. They are processed in our workshop.